A sandy bay forming part of the extensive sands of Tremadog Bay. Carreg Wen Beach is adjacent to the Llyn Peninsula Coastal Path and the Wales Coast Path. The tide at Carreg Wen Beach is currently falling. Low tide will be at approximately 7:51 AM, and the next high tide will be at approximately 2:05 PM. 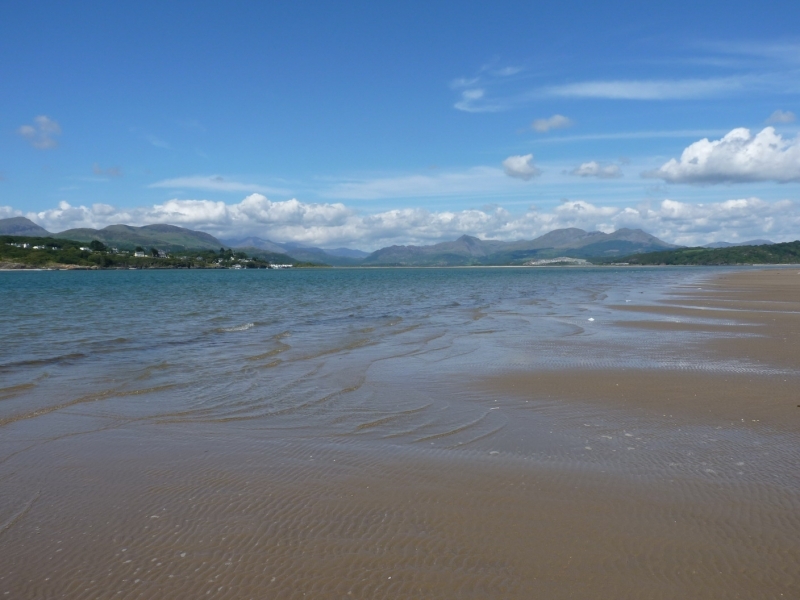 Parking in Borth Y Gest - a 20 minute walk from the beach. just over a mile west-southwest as the seagull flies, around 3 miles by road. around 7 miles west as the seagull flies, around 10 miles by road. Visitor information for Carreg Wen Beach, Gwynedd, Wales. Weather, tides, visitor comments, beach facilities, photos, nearest postcode, beach information and nearby accommodation.